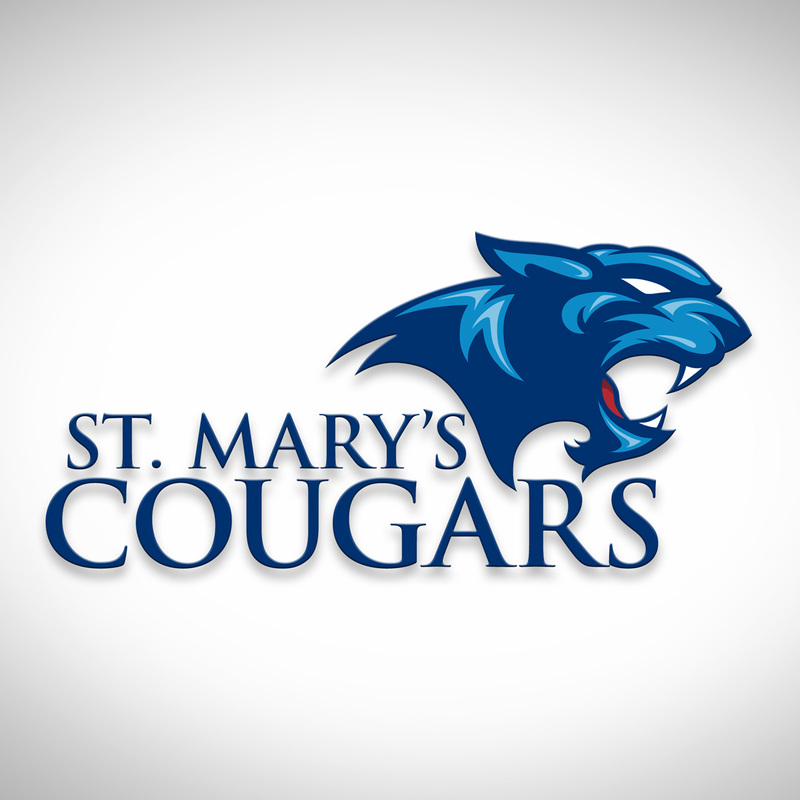 St. Mary’s Catholic Academy, a private Catholic school, requested a refreshing update to the school brand and cougar mascot. The mark is derived from a carving in the school’s church: “Ave Maria Gratia Plena”, which was also used for the rebranding of the church logo. 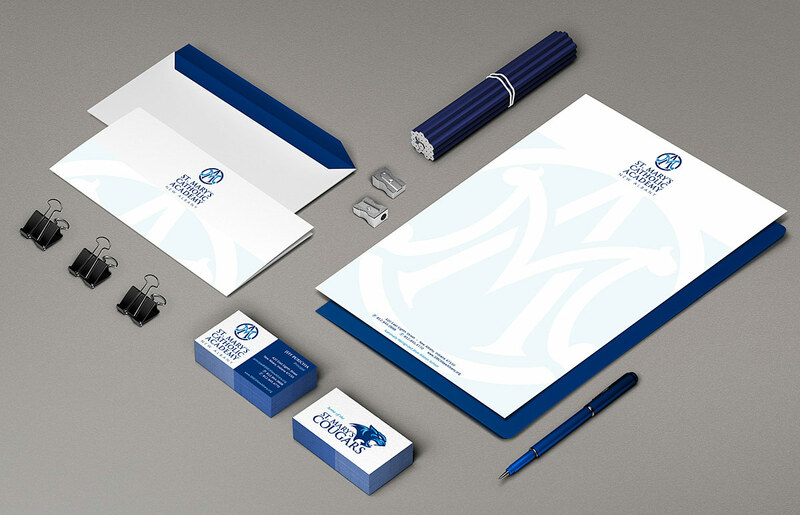 The contemporary cougar mascot includes an abstract letter M on the neck.